Peggy Ahwesh is a fascinating character. If you don’t want to go and read her Wikipedia page, she started off making short films about local punk bands around her industrial Pennsylvania home town, after graduating college, then thanks to a film night she put on at a Pittsburgh art warehouse, she met George Romero and his crew. Luckily, Romero was a good guy, with strong political and gender awareness (plus, he was still making good movies back then) and Ahwesh started working on his crew, and the friends she met there plus the exposure she was getting allowed her to make her first “big” film, known as “The Pittsburgh Trilogy”. Since then, she’s made a huge variety of films in a huge variety of styles, plus has taught future generations of filmmakers. This is, perhaps, not the best film of hers to start with, but as so many of our reviews are “stick a pin in a list, start there” style affairs, it’s as good as any. It’s an eight minute film where two pre-teen girls recreate the tropes of horror cinema – wearing vampire capes, werewolf claws, one of them is tied to a table while the other “stabs” her with a knife made of tinfoil, etc. The basic gist of this is, if you read the standard description, that their cross-dressing and seizing of “male” roles could have dire consequences, if the background music horror sound effects are to be believed. Simple and effective, and the point made is a good one. There is a primary issue with this, though, and while it doesn’t uniquely apply to “The Scary Movie” in particular, this is what I’m reviewing so you’ll have to make do with it here. If you’re reading this, you have a passing interest in avant-garde cinema (or were fooled by the title), and the way I was exposed to it was by late night Channel 4, in the UK. I’ve lost count of the number of experimental video pieces I’ve seen which are black and white, shifting in an out of focus, no audible dialogue, non-actors pulling faces at the camera, filmed in someone’s apartment with no narrative or even an attempt at one. So, while this is no doubt an interesting film, it just feels like one of a thousand similar pieces, recorded around the same time by the same generation of people. But then, would I say “well, I’ve seen enough boat paintings” when looking at a Turner exhibit? Or would I complain about the endless simple chords at a Ramones gig? Probably not, in either instance, but I’m not convinced Ahwesh is up there with a Turner or a Ramone in her particular field either. It’s probably helpful, though, to approach this like an individual song or one painting in a gallery – to be admired for a few minutes, then moved on from. You wouldn’t go to the cinema to watch an 8 minute film on its own, so it’s not helpful to look at it that way. Thankfully, for people like me, Ahwesh has put up what seems like the majority of her stuff on Vimeo, so you don’t need to view this in isolation. I’d heartily recommend a few hours spent with her work, more than I would with the huge majority of filmmakers we cover on here. You may not be old and jaded like me, and this may come as a new delight, in which case, you’ve got a lot of fun ahead of you. 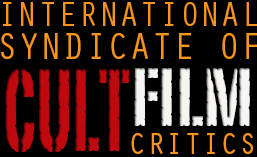 This entry was posted in Reviews and tagged Peggy Ahwesh, short films. Bookmark the permalink.